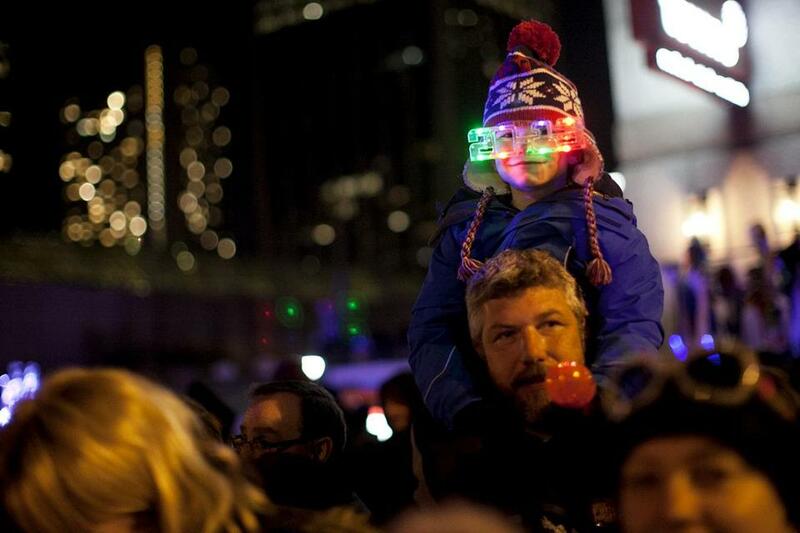 Dennis Foley and his son Timothy took in First Night’s Grand Procession in 2012. 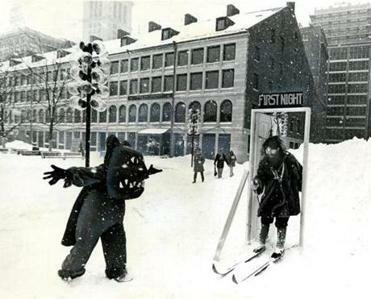 First Night Boston, creator of the city’s signature New Year’s celebration, is ceasing operations after nearly four decades because of declining donations and sponsorships. The nonprofit group is laying off its small staff and closing its downtown offices by month’s end. The demise of the 37-year-old event is the second major blow to cherished city traditions in recent days. Last weekend, CBS confirmed that the July 4 concert and fireworks show along the Charles River would no longer be nationally televised, sharply diminishing its profile. But some form of the New Year’s celebration may survive. As First Night announced Thursday it would close, Boston Mayor Thomas M. Menino stepped in, saying the city would make sure the New Year’s Eve festivities continue. First Night has become so successful that it’s sometimes hard to remember a time when it was simply called New Year’s Eve and you didn’t need to buy a button. The first First Night marked the last night of 1976. These photographs document the first time Bostonians enjoyed the arts festival that would one day spread nationwide and ring in the new year in over 70 cities, growing to showcase the work of over 1,000 artists. - Lane Turner and Lisa Tuite. With its fireworks, Mardi Gras-style procession, famed ice sculptures, and artistic performances, the holiday festivities drew a million people to the heart of the city each New Year’s Eve, a beloved tradition that showcased hundreds of artists and captured Boston in full winter glory. The oldest and largest event of its kind in the country, it inspired dozens of similar festivals across the country, and pumped millions into the local economy. The event’s financial struggles contrast with its surging popularity, which may have given the public a false sense of security that the event was stable. As more people turned out, the event grew in scope, generating more revenue but adding to the expense. Recent consecutive years of inclement weather kept many revelers at home, adding to the event’s struggles. “It was one straw after the other,” Guardino said. A decade ago, the event drew $474,000 from corporate sponsors. By last year, sponsorships dwindled to $156,000. Contributions from foundations, meanwhile, plunged from $364,000 to less than $50,000. Overall, major funding has fallen 70 percent since 2003, from $880,000 to $263,000. Even with revenue from the event accounting for about half the group’s yearly budget, the drop in donations was too much to overcome. At the same time, many foundations shifted their focus to social justice and educational causes, organizers said. In response, organizers reduced First Night’s budget to $800,000, down from $1.3 million in 2008. But after losing two major foundation grants, cash flow ground to a halt, and organizers said they had no choice but to close. Menino criticized the First Night organizers, saying they lacked the “creativity” to make the event sustainable. “They weren’t willing to make the tough decisions,” he said. City officials said they would reach out to the city’s business and philanthropic community to help finance the upcoming New Year’s Eve events. The city already pays a substantial sum for public safety each year. Organizers said they hope to transfer the First Night trademark to the city and plan to work with city officials to find a group that can take over the event. Thoughts that the event would vanish altogether are difficult to bear, organizers said. “It’s such an important event for the community,” said Jan Beaven, the group’s treasurer. Chris Cook, the city’s director of arts, tourism, and special events, said the city would likely run First Night as another major event, without devoting a full-time staff. “Just because the nonprofit is ending, it doesn’t meant the celebration itself is going to end,” Cook said. Pat Moscaritolo, president of the Greater Boston Convention and Visitors Bureau, said the one-day event was a difficult sell to sponsors seeking more sustained exposure. “Sponsorships are a lot different today,” he said. “And those dollars are fewer and fewer.” He praised the event for changing New Year’s Eve in Boston from a younger, rowdier experience to a more family-oriented event, and for highlighting the city’s cultural offerings. “There’s no question it’s been important to telling the Boston story,” he said. But for longtime First Night artists, news of the closing hit hard.